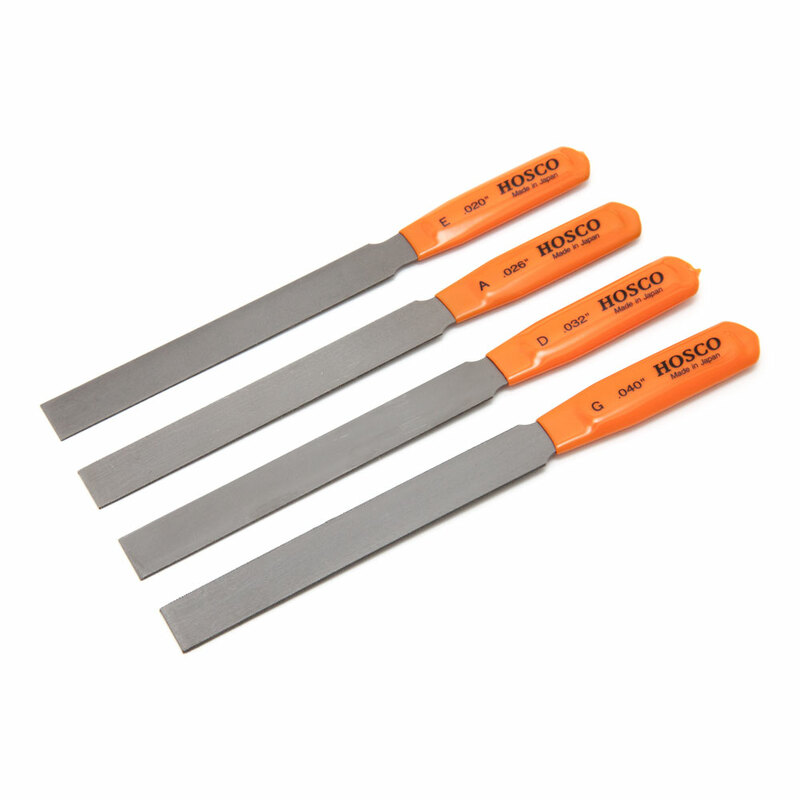 Hosco nut slotting files are massively popular the world over, this set of 4 is made up of gauges catered towards violins (but can of course be used on guitars as well if you are missing these sizes from your set) and is made up of the following widths: .020", .026", .032" and .040", having specific file edge widths makes slotting nuts considerably quicker and easier. Slightly wider slots can be made by rocking the file from side to side when filing the slot. The files have cutting edges on both the top and bottom edges and the set comes in a plastic case. Violin set features gauges .020", .026", .032" and .040"